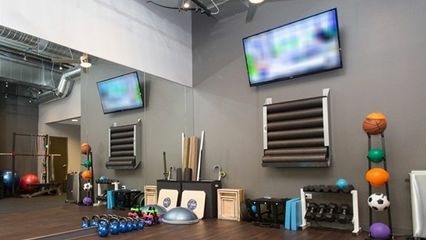 React Physical Therapy is excited to open its fourth Chicago location in the vibrant community of Lakeshore East! Our clinic is located just north of Randolph and just east of Columbus right across the street from the Lakeshore East Dog Park. Franco Calabrese received his bachelor’s degree in Psychology and Spanish from the University of Michigan-Ann Arbor and completed his Doctorate in Physical Therapy at the University of Illinois-Chicago. Prior to becoming a physical therapist, Franco spent four years in Finance as a futures trader. An avid sports fan and athlete from a young age, Franco has first-hand knowledge of how maintaining an active lifestyle can impact the body. He understands how a well-rounded, disciplined, and hands-on approach can help in achieving a balanced and strong foundation in all areas from everyday activities to competitive sports. Franco is also certified in dry needling. Kevin received his bachelor’s degree in psychology from the University of Iowa and went on to complete his Doctorate in Physical Therapy at Northwestern University. Prior to becoming a member of the React team, Kevin working with a variety of orthopedic and neurological conditions and specialized in vestibular rehabilitation. Kevin has taken coursework in the Mulligan Concept, the McKenzie Method, and is ASTYM certified. Kevin has also worked part-time at an inpatient rehabilitation center treating a variety of neurological disorders. He enjoys working with a wide array of orthopedic conditions using a manual focused approach while emphasizing the importance of balance and stability training. Kevin stresses patient education from day one so that his patients may gain a deeper understanding of how their body works and ultimately develop the self-management techniques necessary for avoiding re-injury. Meagan Corriveau received her bachelor’s degree from Michigan State University in Exercise Science and her Doctorate in Physical Therapy from the University of Illinois- Chicago. Meagan enjoys being a manual physical therapist because it gives her an opportunity to be hands-on and thorough while assessing and treating her patients. Prior to joining the React team, Meagan spent two years treating a variety of orthopedic injuries, but specializing in working with performing artists. This opportunity, as well as Meagan’s love for yoga, have taught her that whole body strength and stability are the foundations of a healthy and active life. As a mother of three young children, Meagan has taken a special interest in treating patients with both pre- and post-natal pain and injury. She loves working with these patient’s to allow them to regain their strength and ability after baby.